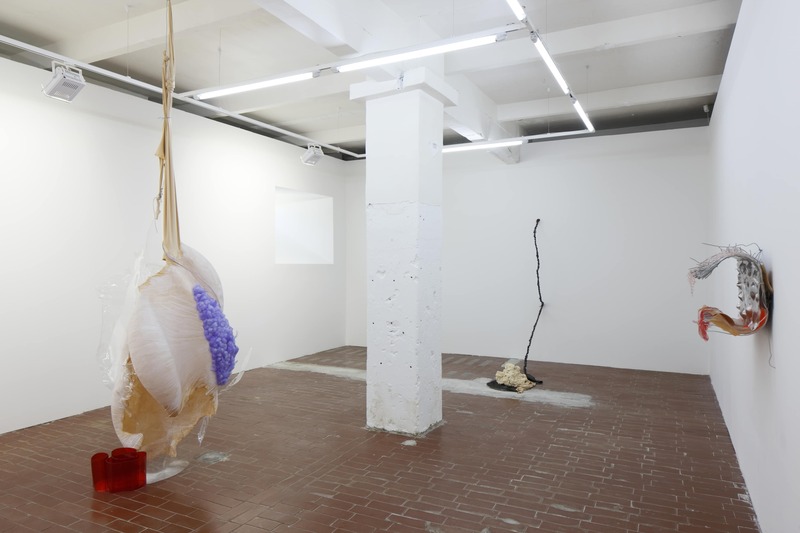 Heap-core,,,is the Paris-based artist’s, Daiga Grantiņa’s, first solo-exhibition in Riga. The expression integrated in the title refers to the outward direction of formal (hard-core) motion, accumulated somewhere in the inner core. 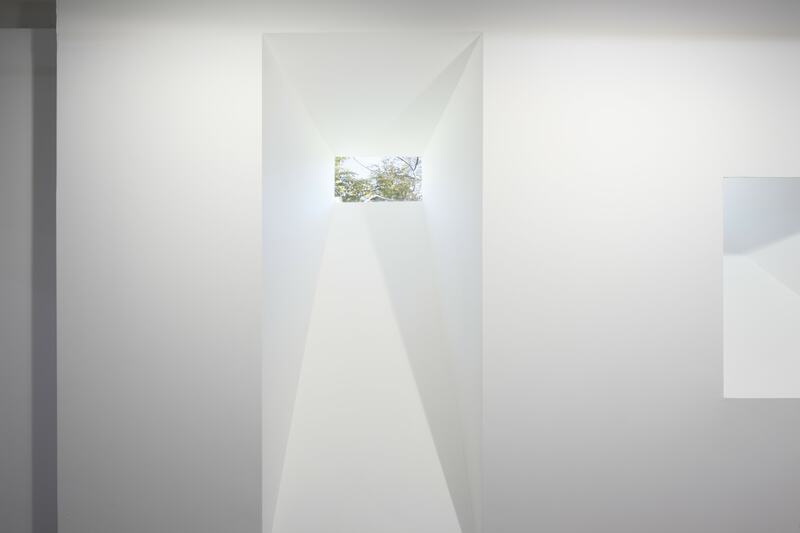 The exhibition hall will be transformed into a site-specific installation, where openings made around the perimeter of the surrounding wall will conduct light tunnels from windows hidden from view, integrating light as a material into the body of sculptures. Guided Tour is Angela. For instance, she aspires to be an early riser; one of those up-with-the-sun types who accomplishes a lot in the small hours, before the rest of us look at the time on phones that light up our faces beneath sweaty sheets. But the truth is, Angela wakes up late. Late enough to screw up the rest of your day. A domino effect of lateness. Coexisting with both the start, and its middle. Also, she stays away from mirrors. Presented at the opening and available throughout the exhibition, Guided Tour is a newspaper edition conceived as a collaboration between artist Daiga Grantiņa, writer Mary Rinebold Copeland and graphic designer Toan Vu-Huu. Daiga Grantiņa (born in 1985, Rīga) studied at the Vienna Art Academy and the Hamburg Art Academy. 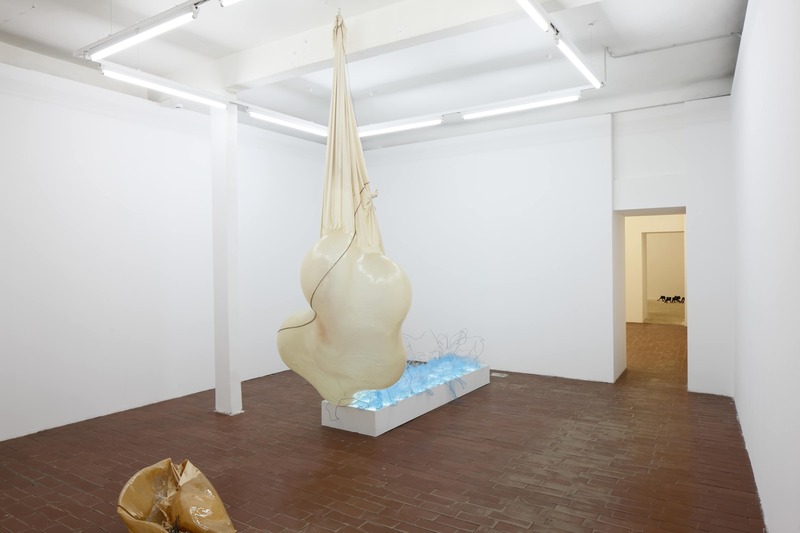 Recent solo-exhibitions: Basinger Beige, 83, Pitt Street, New York (2016), Grotto from Glammar, Galerie Joseph Tang, Paris (2016), LFL, Stefan Lundgren Gallery, Mallorca (2016), The Mountain Guide, Matthew Gallery, Berlin (2015). Noteworthy upcoming solo projects at KUB Billboards (Kunsthaus Bregenz) and Kunstverein Hamburg. 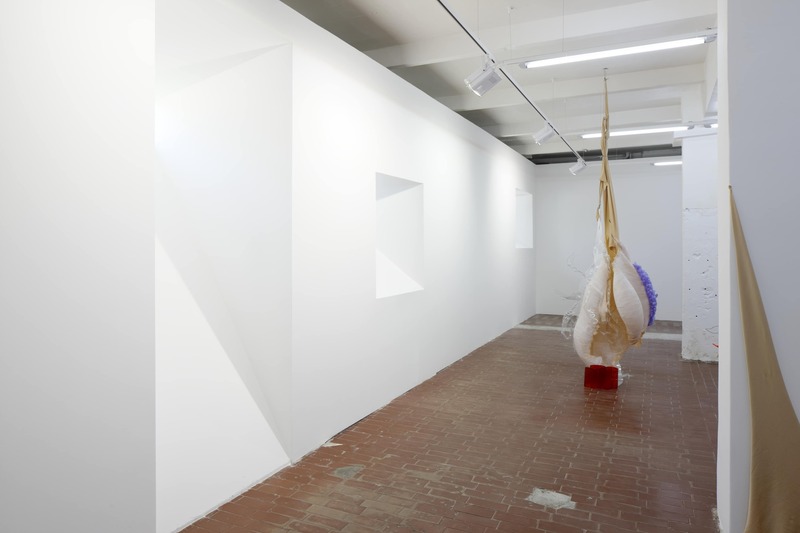 Recent group exhibitions at Advesive Products, Kunsthall Bergen, Les Levres Nues, DOC, Paris, The Pleasure of the Text, Campoli Presti, London. Reviews and publications on the artist’s activities are included in publications such as Les Inrockuptibles, Kaleidoscope, Artforum, Artagenda.com, Frieze International etc. Mary Rinebold Copeland is an American writer who has contributed art criticism to magazines and journals such as Artforum, Artforum.com, Flash Art, MAP Magazine and Art in America, fiction and essays to compendiums and artists’ exhibitions and monographs, and has participated in public panels and collaborative presentations at New York University, ICA London, Whitechapel Gallery, London, and most recently at the Serpentine, London, with Celia Hempton. 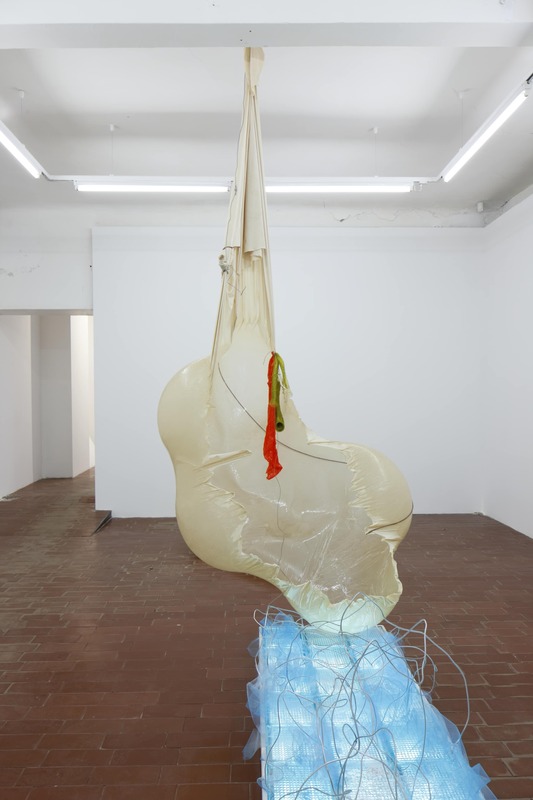 Between 2009 and 2014, she co-founded and co-directed the curating office Kunstverein NY. Her first novel, The Smell, will be released next year.